I am not much of a sports fan (or a golf fan for that matter) when it comes to video games. 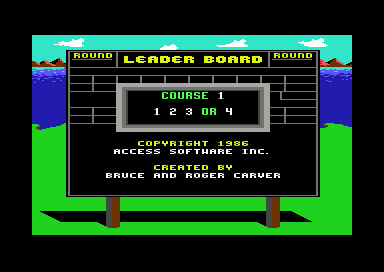 However, Leader Board was among the first true golf sims. Not only that, it was initially available for platforms other than the PC, including the Commodore 64, Atari 800, Atari 520ST and Amiga. Leader Board had a number of pretty sophisticated features for the time (1986). 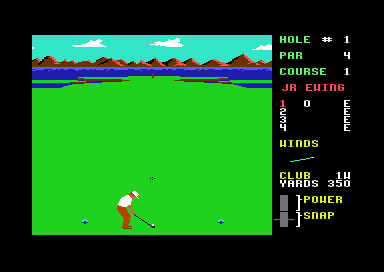 Up to four players could play, players could choose club type and shot type among other parameters, and the game included multiple 18-hole golf courses. There was even a practice driving range. Leader Board was very well received. It received very positive reviews and also sold very well. However, most sports games don’t hold up terribly well over time and while there are some exceptions, Leader Board really isn’t one of them. Other golf games would soon come along, including sequels to this one, that would leave the original Leader Board in the dust. Other than emulation or original hardware, there really isn’t any other way to play Leader Board. 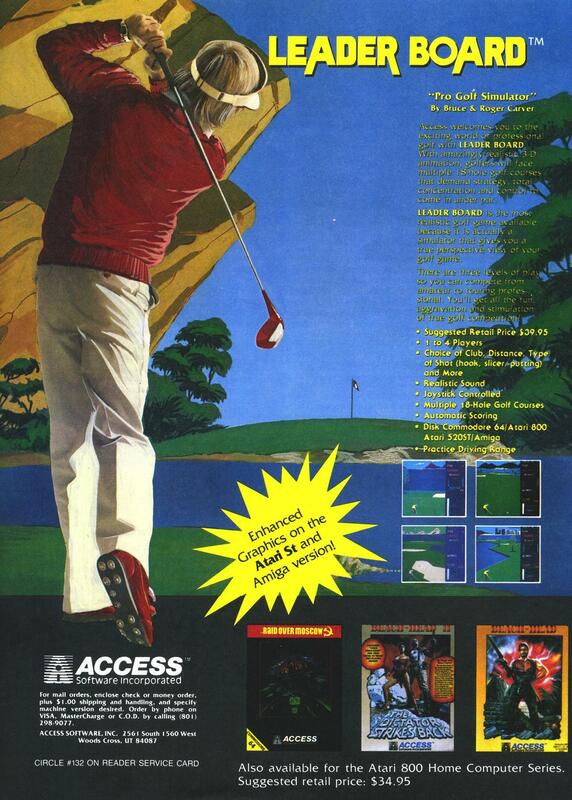 There was an expansion called Leaderboard Tournament that added new courses as well as two sequels. 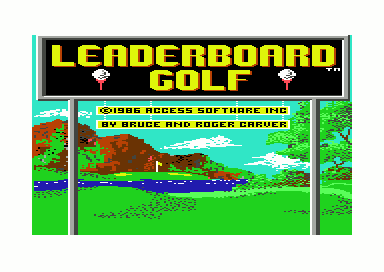 The first sequel was released in 1987 and was called Leaderboard: Executive Edition. World Class Leaderboard was the final, best and probably most well known game of the series. It would also eventually have new courses released as an expansion. 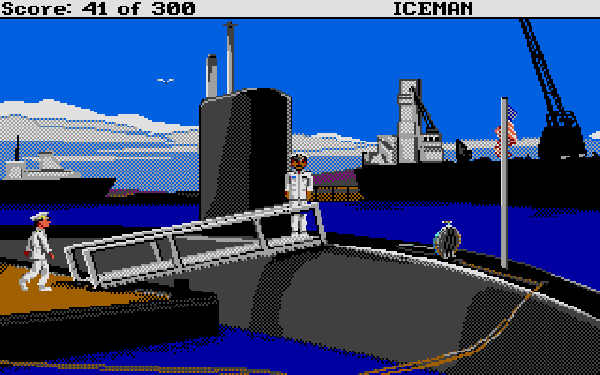 Screen shots above are from the Commodore 64 version. The Atari ST was the successor the the Atari 8-bit line the same way that the Amiga was the successor to the Commodore 64. While incompatible with it’s 8-bit baby brother, it was a far more powerful 16-bit system. 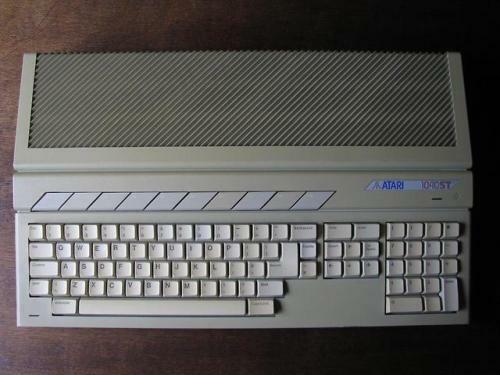 the Atari ST was not quite as technically capable as the Amiga but it was still a major step forward and was particularly popular among musicians who wanted MIDI capability. It was also quite a bit cheaper than the Amiga, especially before the Amiga 500 was released. The original Atari 520ST was released in 1985. A slightly upgraded 1040ST was released two years later. While mostly a minor upgrade, the 1040ST was notable for being the first computer to come with 1 MB of RAM for under $1000. The 512ST as the model number would indicate only came with 512K of RAM. 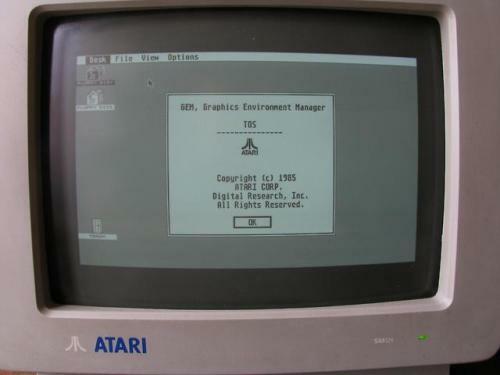 The Atari ST line used Digital Research’s GEM GUI which ran on top of Atari TOS which was basically an updated version of CP/M. This was also not as sophisticated as Amiga’s multitasking OS but again, the Atari ST was much cheaper and still quite powerful for its time. While I have owned a Commodore 64, Amiga, and Atari 8-bit computers, I have yet to own an Atari ST. There were several more powerful successor systems to the 1040ST but it was really only the 520ST and 1040ST that gained any significant popularity in the U.S. The Atari 16-bit line of computers was far more popular in Europe where Atari made something like 75% of it sales. The story of how the Amiga and Atari ST came to be is a pretty interesting one. Check out their respective articles on Wikipedia for a start.